Jian "Raymond" Rui's research examines how Internet-based new technology shapes our communication behaviors in interpersonal, organizational, and health contexts. 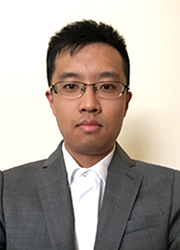 His current projects include how social media affect self-presentation and impression formation in the organizational context, how social media shape college students' health-related perceptions and behaviors, and how specific characteristics of social media can be used to facilitate persuasion. Dr. Rui's research appears in many peer-reviewed journals including Computers in Human Behavior, Information, Communication, and Society, Social Science Computer Review, and CyberPsychology, Behavior, and Social Networking.